Hungarian prime minister Viktor Orban boasts about his good relationship with China and the success that the policy of Eastern Opening brought him. He often responds to criticism from Brussels by mentioning his new rich and illiberal friends who are willing to help him. However, China may not be willing to help as evidenced by planned infrastructure projects falling through and promised loans never materializing. 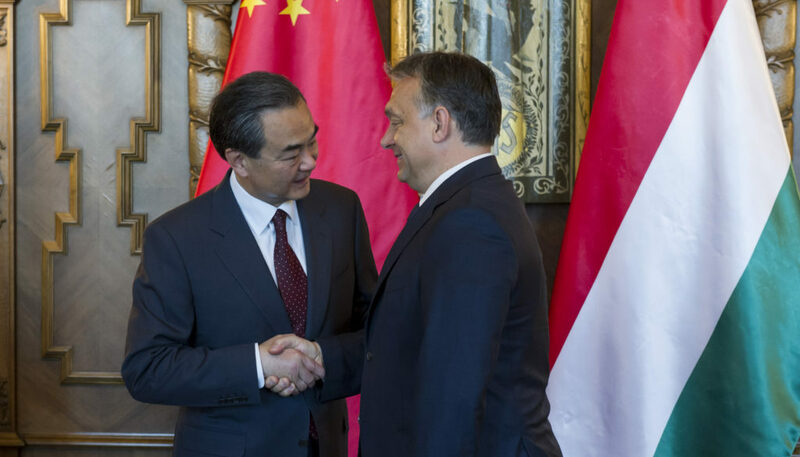 Atlatszo and Vsquare explored the reasons behind Orban’s rhetoric and China’s reluctance to invest in Hungary. Hungary was one of the first countries in Eastern and Central Europe to recognize the importance of good relations with China after the fall of the iron curtain. In 2003, then-prime minister Péter Medgyessy led a delegation to Beijing. Medgyessy held discussions with the Chinese Premier, with the State President and with the Chairman of the National People’s Congress Standing Committee. The visit was a political gesture and an attempt to rebuild confidence between the two countries. All Hungarian governments, without any exceptions, have adhered to this policy towards China and the relationship has grown stronger. In 2004, a Chinese-Hungarian Bilingual Elementary School was established in Budapest, providing expats with an opportunity to give their children a Chinese-language education. In the same year Bank of China opened its first regional branch in Budapest. For a while there was a direct flight between Beijing and Budapest. Chinese small electronics company Huawei established a logistics center in Hungary. In 2011, the Chinese chemical company Wanhua Industrial Group bought the BorsodChem isocyanate factory in the Hungarian town of Kazincbarcika. This is still the biggest Chinese investment in Hungary. According to a 2014 study, Chinese investment to Hungary was about USD 2.5 billion, three-quarters of which was the BorsodChem deal. There have been many promised investments since then but none of them have materialized. Several press reports have been published regarding a potential citric acid factory and others about plans for a solar panel manufacturer. There were reports and announcements about significant infrastructure projects as well, including talks of a rapid railway line from the Budapest city center to the airport and a railway line around Budapest called V0. None of these have materialized either. Moreover, there were reports of Hainan Air buying the struggling Hungarian airline, Malév. That did not happen, either, and Malév went bankrupt. A plan for a one-billion-euro loan from China to Hungary was also floated without effective follow-up and the Hungarian government discussed the possibility of China buying Hungarian bonds worth five billion US dollars to no effect. These talks realize nothing even though the Hungarian government continues to perform political gestures. In 2010 the Orban government did not officially receive the Dalai Lama who was visiting Hungary. Also, in 2013 authorities did not allow the World Uyghur Congress to meet in Budapest. Furthermore, pro-Tibet protesters are cleared from Budapest streets whenever high-ranking Chinese officials are in town, as a rule. Budapest also played host to the first meeting of the 16 + 1 group in 2011 and did so again in 2017. Additionally, Viktor Orban travelled to China in May 2017 to the summit meeting about China’s Belt and Road Initiative. Why are all these infrastructure projects falling through? According to the experts, academics researching Chinese-Hungarian relations and businessmen who have a deep knowledge of business matters between the two countries, the main reason why these infrastructure projects fall through is that Beijing and Budapest have completely different expectations. All of our above-mentioned sources asked to remain unnamed, fearing retribution from the Orban government. Beijing needs to find an outlet for its monetary and infrastructure construction capacities, thus it is constantly looking for new markets. The most important thing for China is to make money on these projects. This is due to the fact that they are financing these projects from Chinese loans taken out by the local government and regulations dictate that the Chinese companies do at least 85 percent of the work. Regarding foreign direct investment, China is looking to buy European companies with existing know-how and technology. The main problem here is that the European Union member states get ‘free’ money from Brussels for infrastructure development, so it would be unrealistic for them to take out a Chinese loan and have Chinese companies build roads, bridges or railway lines. By contrast, China has been building such objects in the Balkans for years now as there are no EU funds available there. However, when it comes to foreign direct investment (FDI), Hungary needs greenfield projects that generate new jobs, an outcome incongruent with China’s goals, as mentioned above. One industrial company was interesting for Beijing because it offered useful technology: BorsodChem, the plant bought by Wanhua in 2011. ‘Hungary doesn’t have industries that China needs and our markets are too small for them. The small size of Hungary is a problem here,’ one of our sources said. As our sources put it, as soon as Chinese politicians or businessmen realize that a project they are planning will not be profitable for them, they back out. Two of our sources, both requesting anonymity, confirmed that the Chinese are stunned by the level of corruption in Hungary, and that might also thwart projects. One of these anonymous informants, who meets Chinese businessmen regularly, said that his Chinese counterparts often complain about Hungarian politicians’ ‘expectations’ of kickbacks. A businessman who has a close knowledge of Hungarian-Chinese economic relationships explained it this way: corruption is not unknown in China but the way Hungarians do it surprises them. They are stunned by the arrogant, unabashed nature of Hungarian corruption where oligarchs proudly show off their wealth and do not care if they are caught. Another significant problem is that there have been fundamental changes in the Ministry of Foreign Affairs and Trade since 2014. Experienced senior diplomats have been replaced by young but loyal people, who are not necessarily capable of gaining the level of trust and respect that is expected and necessary for doing business with the Chinese. This hurts Hungary’s foreign relations, including with China. One of our sources called it ‘ridiculous’ that Hungary has assigned a 31-year-old ambassador to Beijing, Máté Pesti, who also happens to be the son of a Fidesz member of parliament. This means that real discussions about Chinese-Hungarian relations happen in Budapest between Chinese diplomats and the Hungarian government, not in China. Viktor Orban is especially keen on talking about his successes in building political and economic relationships with China. He officially launched the program of ‘Opening to the East.’ In his infamous 2014 speech in Transylvania about illiberal democracies, Orban mentioned China as one of the illiberal states with strong economies that he looks up to. However, the two big deals – Wanhua/BorsodChem and Huawei – were negotiated and finalized before Orban came to power in 2010. None of the big infrastructure projects or loans he announced have materialized. Ever since Orban’s announcement of the Eastern Opening, numbers show that only a minor amount of investment has arrived in Hungary. Despite all the above, Orban is overplaying the significance of China’s role in the Hungarian economy. Government communication cultivates the impression that Beijing is going to be a savior for the Hungarian economy, thus creating unreasonable expectations. Orban has been doing this even though, as Atlatszo and Vsquare learned, the Hungarian prime minister has been told by the Chinese counterparts several times since 2010 that he should not expect the Hungarian economy to be saved by China. His only reason for keeping up this rhetoric must be political since boasting about good relations with Beijing can be instrumentalized against Brussels. By reacting to the EU’s reticence to provide funds by threatening to turn to China, Orban can hit back at critics. This threat is effective because Western Europe is anxious about the prospect of China expanding its economic influence in Eastern and Central Europea. One huge Chinese infrastructure project might materialize eventually in Hungary, and it may be pushed through simply to provoke Brussels. The proposed budget for the reconstruction of the Hungarian section of the Budapest-Belgrade railway line is currently 2.47 billion euros (USD 2.77 million, 750 billion Hungarian forints), which would make it the first huge Chinese infrastructure project inside the European Union. The story is complicated. The proposed railway reconstruction is part of the Belt & Road Initiative. Beijing already bought the port of Pireus in Greece and needs a railway line to transport goods into the heart of Europe. To this aim they need the Budapest-Belgrade railway line reconstructed, and it seems like Hungary is willing to do its part. It is going to cost Hungarian taxpayers a huge amount of money. The government in Budapest is taking out a Chinese loan in order to be able to finance the project. It will be constructed by a consortium wherein Chinese companies have a 85 percent share, and in the end the railway will be primarily used by the Chinese because there are no major Hungarian towns along the railway. According to estimates by the weekly news magazine Figyelő, the project will return Hungary’s investment in 2400 years. Of course, if the railway line attracts investment and creates industries, factories, and logistical centers along the way, the investment will turn profitable much earlier. However, nobody we talked to has seen or heard of any strategic plans by the Hungarian government about how to attract such investment. Moreover, the Hungarian government is managing the project in a non-transparent way. In 2016 newspaper Magyar Nemzet filed a freedom of information request with the ministry of economy and asked to see the feasibility study of the railway project that cost 1.84 million euros. The ministry denied the request, informing the paper that the study is classified until 2026. Nonetheless, this project has been dragging on for years, which suggests that it might not be completed after all. 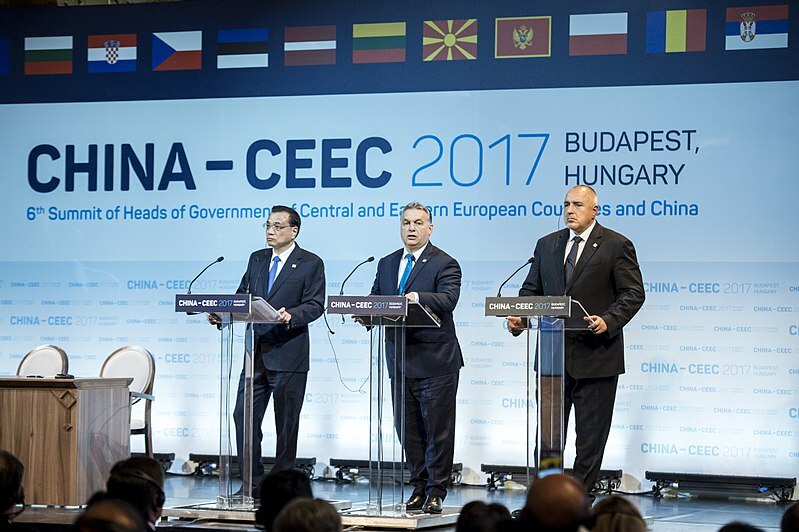 In November 2013, Viktor Orban, Ivica Dacic and Li Ko-Chiang, prime ministers of Hungary, Serbia and China, respectively, agreed in Belgrade to reconstruct the railway line. The Hungarian section is 166 kilometers long and would include expanding the single-track railway to a double-track line. It took two more years for these leaders to sign a document detailing the reconstruction of the railway and its financing, in China in November, 2015. Hungarian Minister of Foreign Affairs and Trade Péter Szijjártó announced a year later, in September of 2016, that the works would cost 2.2 billion euros and that 85 percent of the cost would be financed by a loan from China. Within a few days, it became public that the European Union is planning to start infringement procedures against Budapest because of the deal. It took more than a year for the Hungarian government to strike a deal with the EU and in May 2017 the Hungarian parliament voted to authorize the project. By this time the cost of the project was estimated to be 2.47 billion euros. After this things sped up. At the end of November, 2017 the open public tender for the project was published. In June 2018, Péter Szijjártó stated in Beijing that 30 companies bought the documentation for the project but only two submitted offers. He said that the consortiums consisted of both Hungarian and Chinese companies. Their names are ‘CRE Konzorcium’ and ‘STRABAG-CCCC 2018 KONZORCIUM.’ The names of the companies included in these consortiums were not announced. According to Szijjártó’s estimates, the winner could be announced and the contract signed as early as November of this year. If the contract is signed by the end of this year, the Hungarian government expects the railway reconstruction project to be finished within 5 years.